If your perfect day consists of basking in the sun, listening to live music, and quite literally taking a bite out of life, then we’ve got the perfect Hudson Valley event line-up for you. Revel in this list of more than 25 of the Hudson Valley's biggest and best food and drink festivals. Sink your teeth into some juicy steak at the Hudson Valley Rib Fest, or lick frosting off your lips at the Cupcake Festival in Gardiner. Check out sangria festivals to add some buzz to your weekend, or kick back with some friends and enjoy a cold brew at the region's numerous craft beer festivals. Although some events have free admission, many require tickets to enter, so grab yours now and prepare for a summer of feasting. Festivities kick off with the 5K Cupcake Classic Run, so you can ditch some calories before you browse the more than 10,000 cupcakes on display in this confectionary extravaganza. While some festivals home in on a specific product, this one casts its net wide, celebrating all things Hudson Valley, from wine to fresh produce and culinary treats from local restaurants. An homage to the classic Spanish drink of summer, this festival features four sangria tastings made with Robibero’s own wines and local fruit, plus live music, empanadas, and wood-fired pizza. Mini, travelling epicurean hot spots, food trucks have become all the rage in the Hudson Valley. 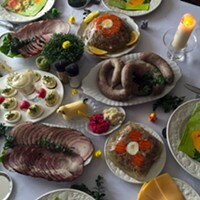 Sample them all in one place at this flavorful festival, which takes place three times a summer. The craggy slopes of the Shawangunk Ridge were once a blueberry picking destination for people the state over. This street fest celebrates that history with blueberry goodies, crafts, and fun. A self-guided tasting tour of participating bars and restaurants, this festival is a fundraiser for the Woodstock Film Festival and Hudson Valley Film Commission. With 50+ teams pitting their skills against each other in the BBQ Contest, the competition is fierce. Enjoy live music, craft vendors, and, of course, finger-lickin’ ribs over three days. This one-day food and drink event festival gives a scrumptious snapshot of New Paltz’s culinary scene. Bring the kids for face-painting, vendors, and a fun-filled day of food and spirit tastings. You don’t have to be Italian to love this stinky allium. Thirty years old in 2019, this legendary festival pays homage to garlic in all its forms, drawing over 50,000 enthusiasts every year. It’s amore! The Ulster County Italian American Foundation hosts this free festival of Italian cuisine, culture, and music on the Kingston waterfront every year. Grown out of the desire to educate people about the environmental impact of their food choices, to end animal cruelty, and to encourage plant-based, animal-friendly lifestyles, the Vegfest offers cooking demonstrations, music, film screenings, speakers, and dozens of holistic vendors. Don’t be salty, this festival is a blast. Entering its 21st year, the pickle fest has become and international sensation with over two dozen pickle vendors and dozens of other craft sellers. Over 15 food trucks and 40 craft beers will be at this tasty festival. 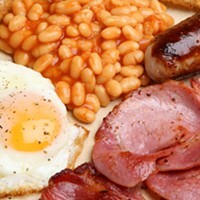 Feast on all kinds of cuisines, including Greek, Italian, Mexican, and American. The family-friendly event will have a kids' zone and corn hole tournament—plus live music, an artisans' vendor fair, and plenty of outdoor space to lay out a blanket for a food truck picnic. Sample the revered shortcake and other delicacies made from local strawberries, peruse the farmers market, take a ride on the sailing vessel, The Woody Guthrie, and enjoy live music from local performers. Partake in Fishkill Farms’ abundant organic strawberry harvest, with a sun-kissed day of U-Pick, wagon rides through the orchard, food, music, and activities for kids. The region's most indulgent festival offers an extensive craft beer sampling selection, bourbon tastings, all things bacon, games, and live performances. This all-American festival, hosted by Hudson Valley Magazine, celebrates summer’s highlights: sizzling hot burgers, ice cold beer, and live music in one fun sun-filled afternoon. Take in sweeping river views at Beacon’s riverfront park, as you peruse over 180 craft beers from America’s top brewers. Bring your appetite and a picnic blanket to enjoy the live entertainment and craft vendors. Spot the wandering Wanka in this free, daylong festival taking place throughout Red Hook’s quaint downtown. Taste chocolate, enjoy live music, compete in the chocolate olympics and the chocolate wars, or watching a cooking demonstration. Food, beer, local wine, and local cocktails will flow at this happening summer shindig. Leave the beaten path and head to the brewery’s farm in Hudson, a quarter-acre hop yard of climbing green, where you’ll don your bib and dine of same-day-caught lobster. 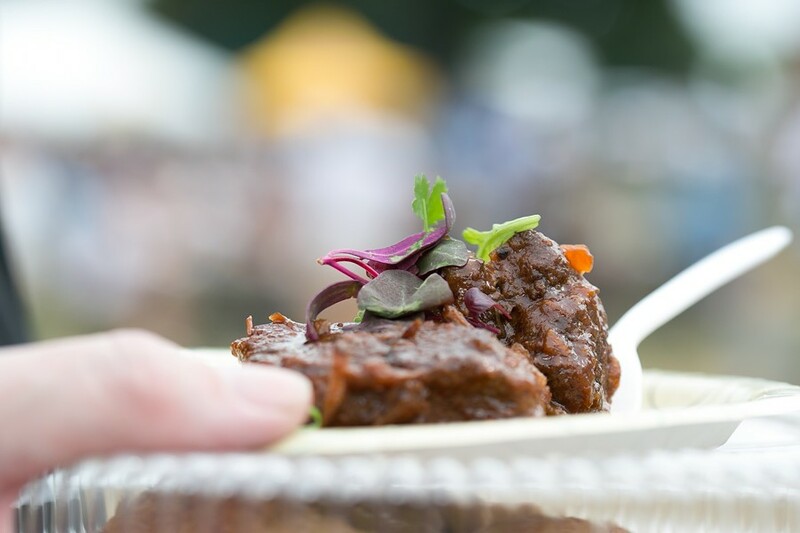 Now entering its third year, this festival, founded by award-winning Hudson-based chef and restaurateur Zak Pelaccio, brings together esteemed vintners from around the world to pair their wares with fare from regional restaurants and local live music. This free slope-side event celebrates German culture over four weekends. Take in sweeping vistas of the Hudson Valley during peak fall foliage and enjoy live German entertainment while sipping selections from dozens of breweries and food vendors. Lederhosen encouraged. If you like beer, this is the place to be. 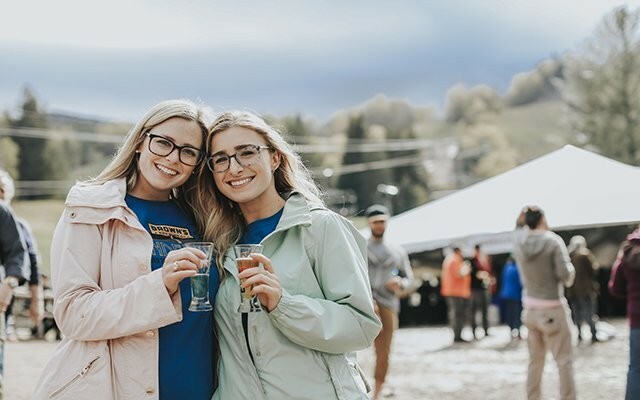 Kick of the food fest season with a trip to Hunter Mountain and sample brews from over 500 vendors in your commemorative Tap NY glass. If you love the crown jewel of Mexican food, head to the Beacon waterfront for this third annual celebration of the taco in all its many variations from traditional to modern American. Sip on Mexican beers, sangria, or margaritas while you enjoy live music and find your condiment of choice in the hot sauce and salsa tasting section. Or hold your own in the taco takedown competition. Sample ciders, spirits, and wines from New York and beyond, while grooving to live music. This weekend-long festival features seven artists and over 50 vendors. Find something you like? Purchase bottles on the spot to for sippin’ all year long. The St. Louis bread-sliced bagel trend has luckily not reached Sullivan County yet. At this festival, you’ll find bagels made and enjoyed the old school way, sliced in half with a healthy dollop of schmear. And you won’t want to miss your chance to participate in the world’s longest bagel chain. From apples to zucchini (A-Z) this festival showcases the plethora of produce grown in the Hudson Valley. Aside from the extensive farmers market, this event will also feature a flea market, kids bounce house, craft vendors, live music, cooking contests, and demonstrations.